It’s the paradox of our times, that, with all our technological advances and development, the very fundamentals of our human civilization – life, food, agriculture, cultural heritage – are in crisis all over the world. In face of this global crisis of human sustenance and society, we take a look back at the long history of Japanese culture and tradition. The essence of the farming, food, and lifestyle tradition that Japanese people have carried on and nurtured may be described as ‘good substance, service, and heart.’ This trinity of optimizing the object, action, and spirit has been preserved in the heart of the Japanese way of life for over two thousand years. If we could follow these back, and examine them in their original setting, perhaps then various elements of today’s everyday lifestyle, of Japan’s Heisei era, could be reconstructed, not in order to imitate the past, but to optimize our life today. In rediscovering the foundations of Japan’s long tradition and culture, we take both its heritage, preserved and passed down through a long line of generations, and its inherent process of adaptation and transformation, as keys to revitalizing today’s life and society. We aim, through the preservation, resuscitation and promotion of Japan’s regional cultures and traditions, to search to answer together what is culture, art, and the food with which we share a living link. With his broad vision that took in many fields, Rosanjin looked reality square in the face, appraising it, shifting it, revising and reconstructing it in his undaunted quest for something new. Assessing and critiquing, taking tradition like clay in his hands, to be reshaped, repainted, renewed, Rosanjin, who passed away over fifty years ago, was the pioneer of our modern Japanese culture, and its now famous Japanese cuisine, washoku, a registered UNESCO Cultural Heritage since 2013. Taking Rosanjin’s often-repeated words that “the dish is the ‘kimono’ of the food” as the epitome of his art, and threading in the long Kitaoji lineage of Kyoto traditional Nishijin textile weaving, the brand of Kimono Rosanjin was created. Rosanjin Club was established in cooperation with kimono artist Matsuoka Yoshiro, working between Japan and overseas, and with Nishijin financial sponsors. Rosanjin first set out from Japan by invitation from the Rockefeller Foundation to exhibit in the Museum of Modern Art, New York, followed by other sponsored exhibitions in America as well as Europe. Rosanjin later presented the Rockefeller Foundation with an enormous collection of his works. Following in Rosanjin’s footsteps, Kimono Rosanjin brand, also admired by the Rockefeller family, has presented a ‘noren’, a Japanese traditional hanging store sign, and other textile works made by Kimono Rosanjin design to the Rockefeller Foundation. Kimono Rosanjin has received the cultural backing of Rockefeller Foundation NYーJapan Society NY/JICA for exhibitions and promotion. 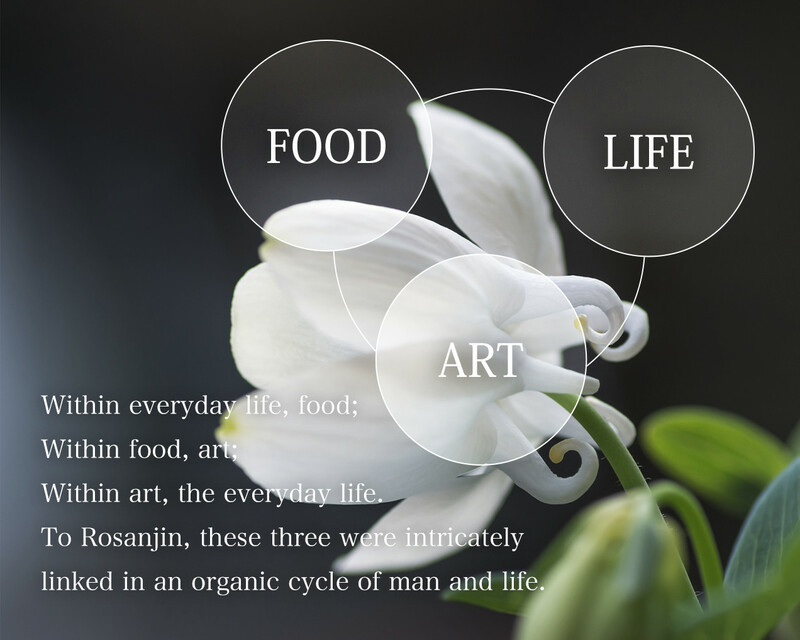 The words of Rosanjin, famous for his gourmand image, reveal his definitive idea of the aesthetics of taste. 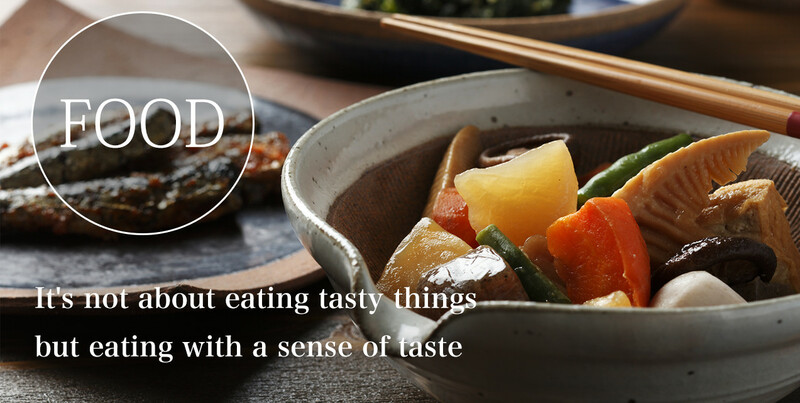 but eating with a sense of taste"
According to Rosanjin, ‘eating with taste’ was not something that can be done alone. As Rosanjin’s representatives in this millennium, Japanese Heisei era, we took Rosanjin’s most beloved dish, the quintessential dish of the Japanese home, ‘raw egg on rice’, as our key, and started, first of all, from eggs. Rosanjin’s art wasn’t limited to calligraphy and ceramics, but covered an exceptionally wide range of artistic pursuits. The great part of these weren’t works of art for the sake of art, but were things meant to be functional, necessary for and used in his everyday life, even just for himself. Broken, perhaps at a boisterous table, we can still see the traces where it has been carefully repaired. More than anything, we can sense its strong flavor of warmth and intimacy. It wasn’t a work of art, but an object made to be used aesthetically. Rosanjin’s cutting edge genius and flair created a buzz amongst chefs and all those around him. Absolutely not one drop of soy sauce is left behind, not one leak of a last drip. The mouth of the soy sauce dispenser, the dining table, and all surroundings remain completely spotless. This pouring of the soy sauce, in itself, reveals the pinnacle of a skillfully crafted curved arch. The best raw egg on rice, with the best soy sauce, comes not by eating high priced and name-known ingredients, but from the natural farming and harvest, imbued with the light and heat of the sun bestowed by nature. It comes from the producing area, the brewing method and its wooden barrels, the people managing the business, to the people using the product. It is a fixation on the product itself as but one link in a larger natural order, and such it must be, and nothing less!, as we can imagine Rosanjin himself might roar. While we expect the Rosanjin who said “the dish is the kimono of the food” to be the one who makes his personal way of life a gourmet samadhi, a meditative concentration, we can well imagine that he was moved in his heart, in appreciation, perhaps even in spiritual vision, by that divine trinity of the partaking of the meal – the clay vessel, the hand that makes it, and the one that partakes. Today, this spirit and bond of the trinity of object, action, and heart is relevant not only to the food, agriculture, and art of our everyday life. These days, in a wider sense, it is perhaps even the family get-together itself, our person to person connections, our positive identity and bond with our nation, and the regional cultures of its lands, from which we are getting farther and farther away. 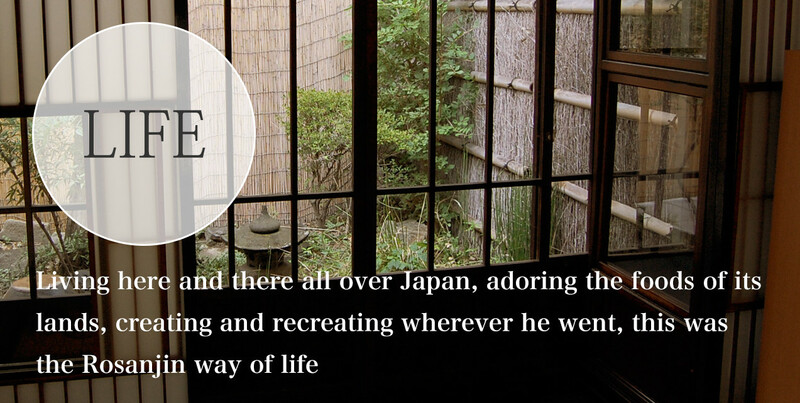 Rosanjin, living here and there all over Japan, adoring the foods of its lands, himself a whirlwind of activity and creation that left an indelible mark wherever he went. 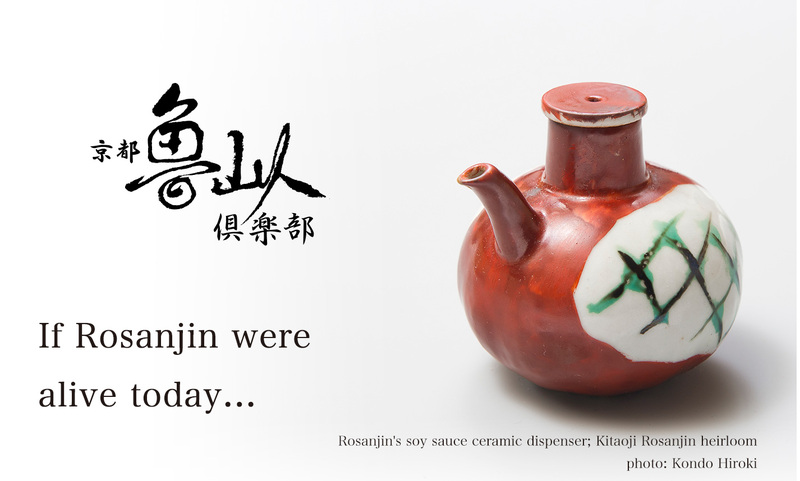 Rosanjin, who held his own against the numerous important financial businessmen, artists, master chefs, and regional peoples of his time, was a one-man revolution, defying both Japan and the international world at the same time. In 1954, Showa era 29, Rosanjin was invited by the Rockefeller Foundation to hold a solo exhibition at the Museum of Modern Art, New York; this was followed by various exhibitions and lectures in America and then Europe. 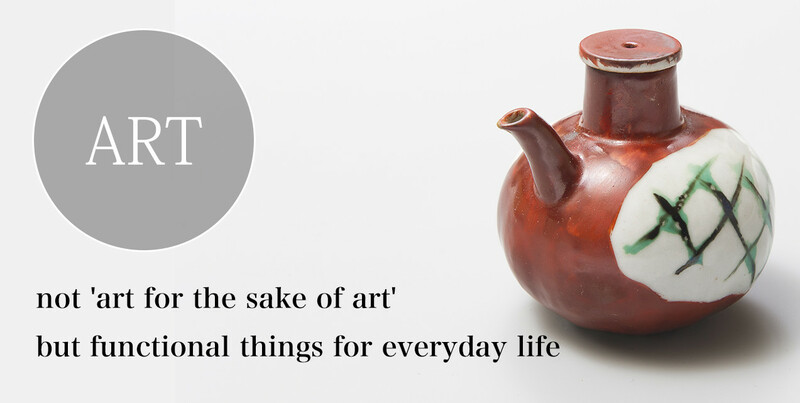 Rosanjin later donated an enormous number of ceramic works to the foundation. In this same spirit, ‘Kimono Rosanjin’ has also presented a noren traditional shop curtain and other design works to the Rockefeller Foundation. Certainly, not all of Rosanjin’s pursuits nor his eccentric personage were received with total acclaim and applause. Rosanjin was well-known for provoking controversy and antipathy. True to this image, Rosanjin, upon being awarded the title of National Living Treasure by the Japanese government, haughtily declined this most prestigious recognition of Japanese cultural heritage. Reflecting on history, we can see that in fact it’s very difficult to look back from today’s vantage point and imagine ‘If…’. Transposing the remarkable way of thinking of a pioneer, a genius in his times, from his era into the present day wouldn’t necessarily be recommendable. Nevertheless, we aim to rediscover Japan’s history, tradition, and culture in a new light, as both treasures to be both passed down carefully, hand to hand, from generation to generation, and to be reshaped and reinvented along the way. perhaps it’s necessary to start by supposing ‘If…’ . Using recipes from the magazine “Hoshigaoka”, established during the time that Rosanjin was serving the top gourmet cuisine of his period at the restaurant “Hoshigaoka Saryo”, Rosanjin’s authentic cuisine has been revived in Rosanjin cuisine circles. We then ask ourselves, And if Rosanjin would see the environmental pollution, the food and agricultural contamination, the society and lifestyle, of today?